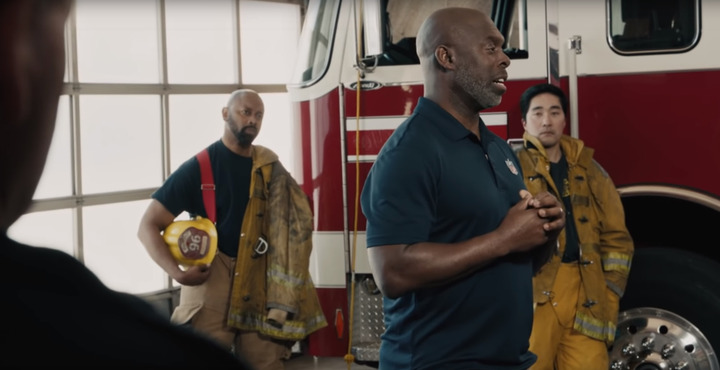 In the Verizon television commercial aired during the Super Bowl, Los Angeles Chargers head coach Anthony Lynn—who nearly died when struck by a car—reunited with the first responders who helped save his life. Chuck Canterbury—the president of the National Fraternal Order of Police—wrote a letter of thanks to the Chairman and CEO of Verizon thanking the company on behalf of the FOP for advertising spots aired during the Super Bowl that honored the work of first responders. The letter—which was posted to Facebook—began, "On behalf of the members of the Fraternal Order of Police, I want to express my most sincere thanks to you and Verizon for honoring our nation's law enforcement officers and other first responders in Verizon's Super Bowl LIII commercial." "The Team That Wouldn't Be Here" is a 12-part documentary series directed by noted filmmaker Peter Berg portraying 12 life-threatening situations that affected individuals associated with the National Football League. In the commercial aired during the Super Bowl, Los Angeles Chargers head coach Anthony Lynn—who nearly died when struck by a car—reunited with the first responders who helped save his life. 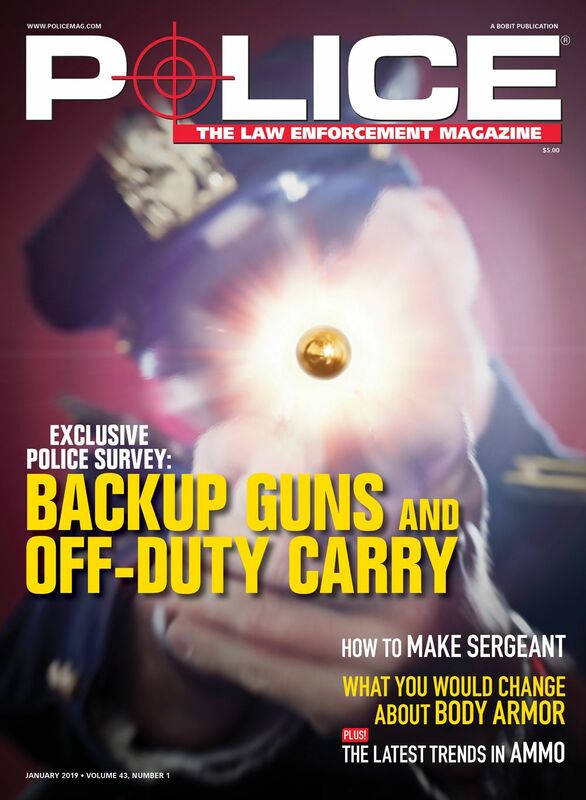 "The last couple of years have been trying times for law enforcement officers," Canterbury wrote. "Your support for these American heroes who perform incredible acts of courage and heroism in an effort to make their communities safer goes a long way. It means more than you know. These gestures of appreciation from the people we serve make it all worthwhile for the men and women who rush towards danger." The entire series can be seen online at AllOurThanks.com. 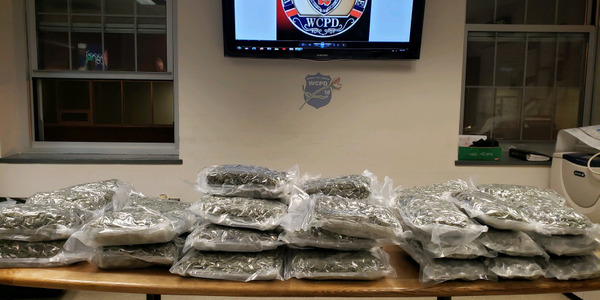 An officer with the Westchester County (NY) Police Department discovered a large haul of marijuana during a traffic stop on Wednesday, seizing about 54 pounds of the drug and arresting a Boston man for Criminal Possession of Marijuana. At least three law enforcement officers and as many as 11 firefighters are among 37 people hospitalized after an anhydrous ammonia leak in the Chicago suburb of Beach Park. An officer with the Boston Police Department was hospitalized after suffering signs of exposure to fentanyl on Wednesday night. Ex-boxer Richard Edson violently attacked Deputy Judy Estes in 2003 while she was attempting to arrest him for driving while intoxicated. He was sentenced to 22 to 60 years behind bars. Police investigating a series of shootings involving suspects in a vehicle firing upon other vehicles in North Chicago themselves came under fire early Sunday morning, police said on Wednesday. 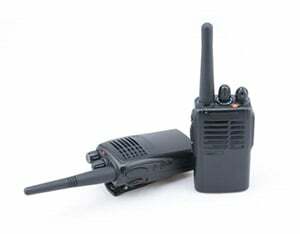 An officer with the Cincinnati Police Department responded to a home early Thursday morning for a trouble call. Upon arrival he discovered that the trouble was the immediate impending arrival of a newborn baby. 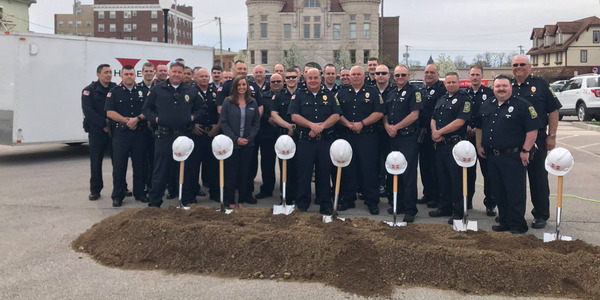 Officials in Huntington, Indiana, gathered on Wednesday with members of that city's police department and several members of the community to celebrate the groundbreaking of a new headquarters facility. Retired Massachusetts Bay Transportation Authority Officer Dic Donohue—who was wounded in a gunfight with the Boston Marathon bombers six years ago—recently responded to Presidential hopeful Bernie Sanders' comments that even "terrible people" like Dzhokhar Tsarnaev should have the right to vote while they are behind bars.